courtesy: james carpenter design associates, nic lehoux. 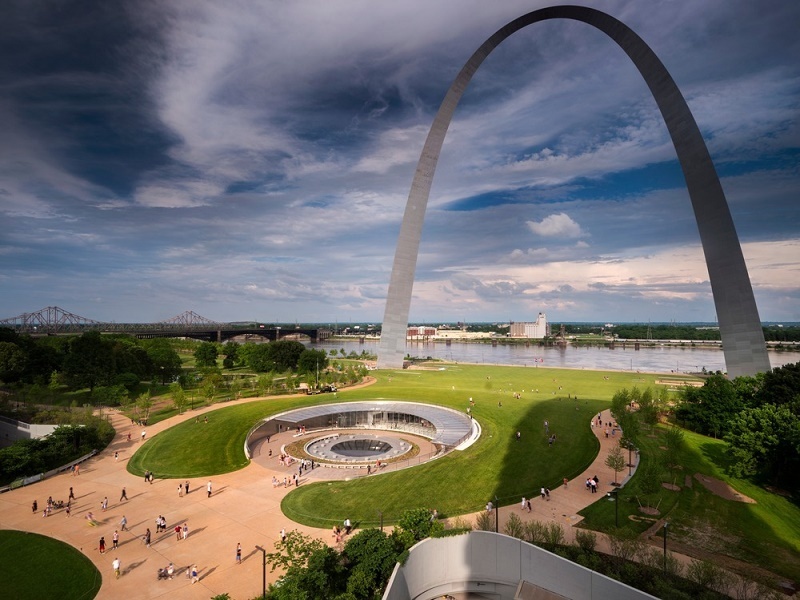 In addition to holding the honor of being the tallest arch in the world, the Gateway Arch of St. Louis is widely celebrated as an icon of the city. 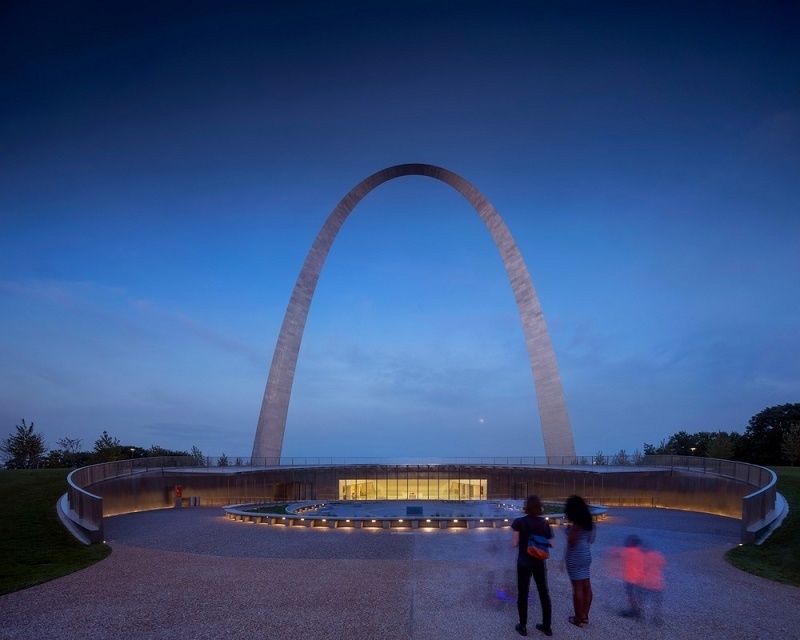 Recently, the spotlight has been trained on the small yet robust museum that lies at its feet, also designed by the arch's famed architect Eero Saarinen. 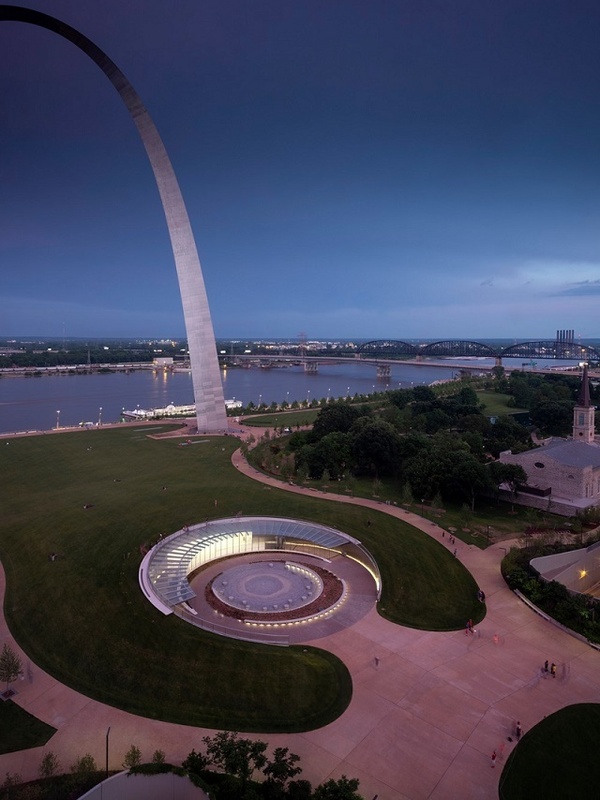 Named "The Museum of Westward Expansion," the subterranean circular structure is devoted to presenting the stories of the explorers and colonists who pushed farther west and expanded the U.S. territory to the Pacific. 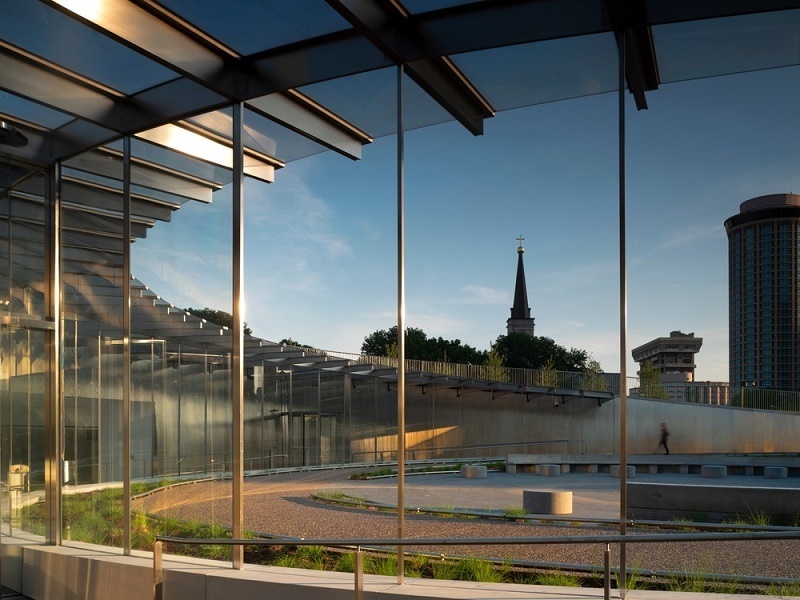 Thanks to a five-year renovation, this once-modest museum has been expanded and opened up to natural light through the strategic use of glass by James Carpenter. New, expanded entrance spaces make the museum more inviting, as does a newly constructed landscape bridge leading to it. The freshly animated site now features a new West Entry and public Arrivals Hall, adding a total of 40,000-square-feet to the original Saarinen Hall. 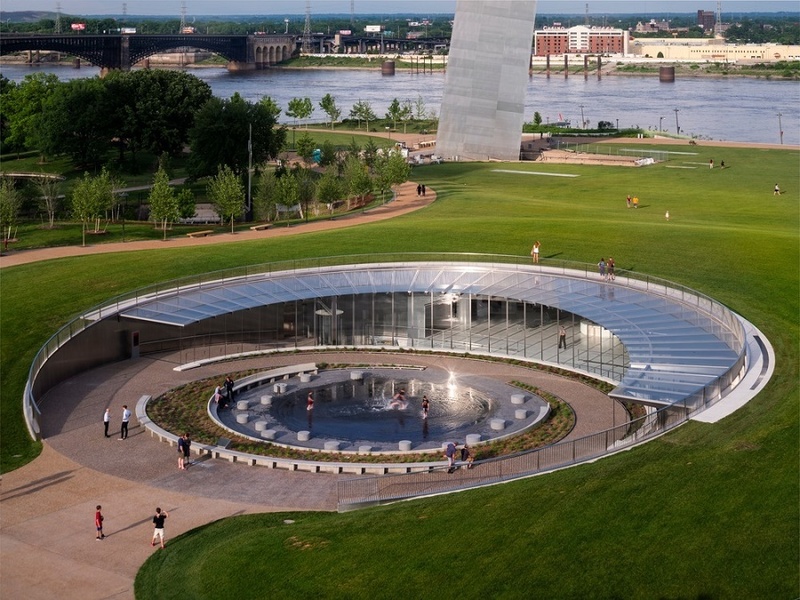 Following the 2010 City+Arch+River international design competition led by Michael Van Valkenburgh and Associates, the design team for the project was assembled of Cooper Robertson and James Carpenter Design Associates with Trivers Associates, supported by the Gateway Arch Park Foundation and National Park Service. 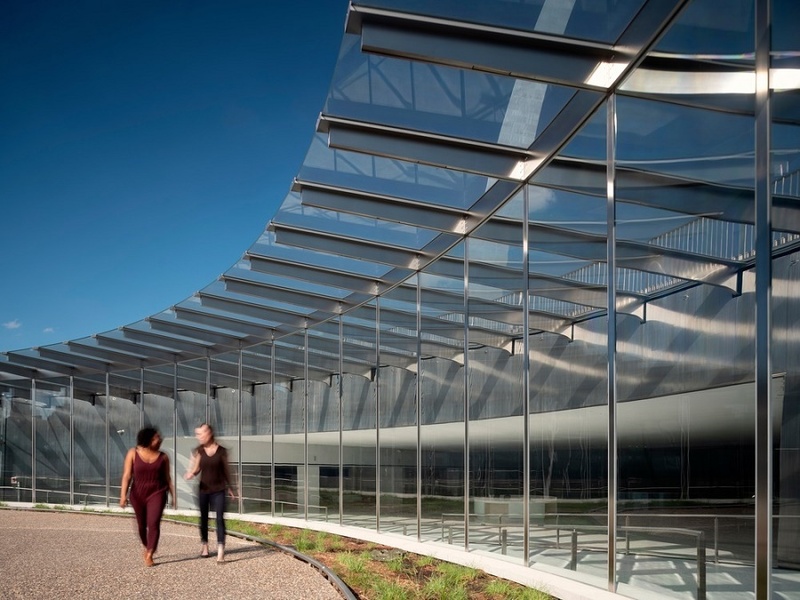 Lead project designer James Carpenter, a glass artist turned architectural engineer, has dedicated his career to the study of light and advanced materials. Carpenter received his BFA in sculpture in 1972 from the Rhode Island School of Design, where he studied and collaborated with Dale Chihuly. He was a consultant to Corning Glass Works, now Corning Inc., from 1972 to 1982, and also actively exhibited light-based artworks during that period. In 1979, he founded the celebrated design firm James Carpenter Design Associates (JCDA), self-identified as “a cross-disciplinary practice working at the intersection of Architecture, Fine Arts, and Engineering [...] recognized for its innovative and distinctive approach to the use of natural light which serves as the foundation of its design philosophy.” In addition to the American Academy of Arts and Letters Architecture Award, the American Institute of Architects Honor Award, and a MacArthur Foundation Fellowship, Carpenter has also been honored with the Lifetime Achievement Award from the Glass Art Society. 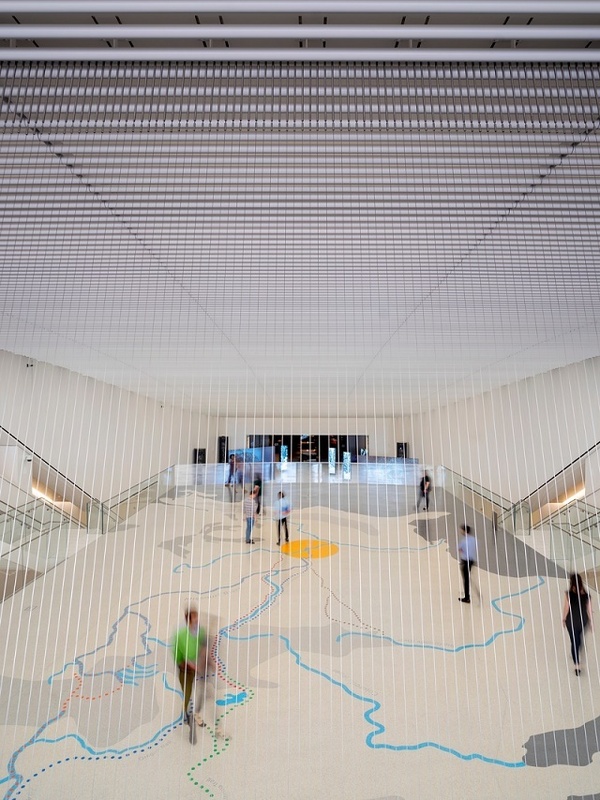 His projects have included the Israel Museum’s expansion and renewal from 2005 to 2011, and the construction of the 7 World Trade Center in 2007 and the Sky-Reflector Net in New York City in 2014, as well as ongoing work with the Borholms Kunstmuseum and the Bornholms Museum in Denmark. 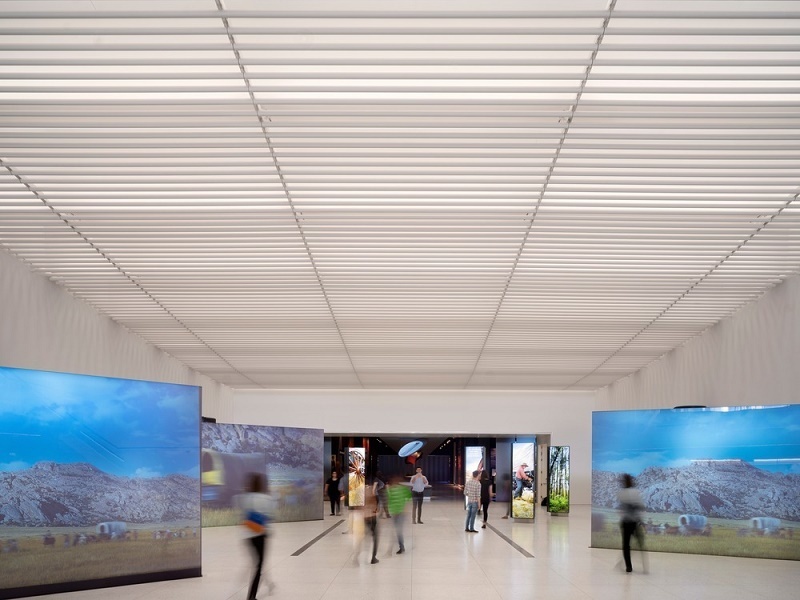 For the Museum at the Gateway Arch, Carpenter’s firm led the design of the new entry sequence and main public spaces of the Arrivals Hall, with Cooper Robertson focused on the new exhibitions area and Saarinen Hall renovation. The entry sequence, easily the most prominent addition to the Museum, now offers integrated circulation for all visitors through the new West Entry. Framed with stainless steel screen walls, two paths lead into the interior, arcing around a reflecting fountain and converging at the entry in an accessibly slight slope. The result is a graceful echo of the larger icon. Led by stainless steel railings, visitors may also reach the top of the entry, overlooking the glass canopy, for a westward outlook with a view of the Old Courthouse. 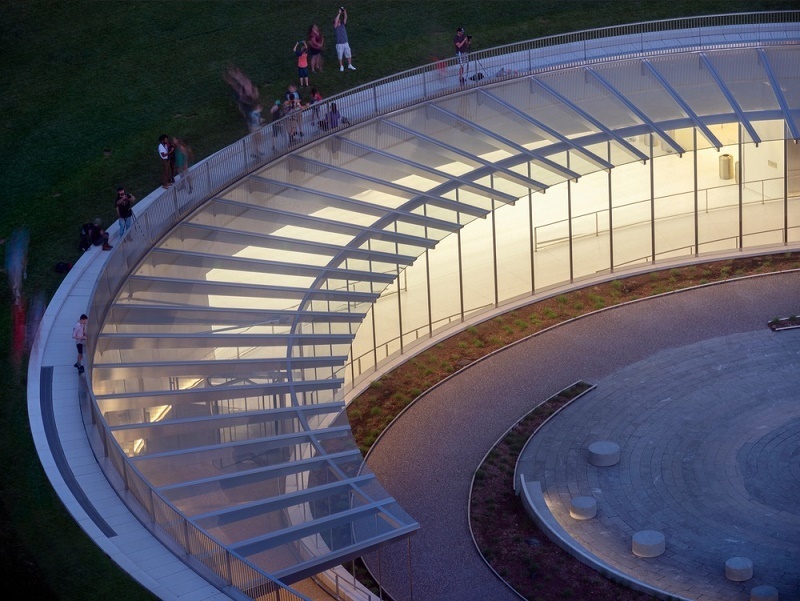 In addition to these inner intersections, the Museum also fits into a larger scheme by Michael Van Valkenburgh and Associates to comprehensively renew the National Park’s Dan Kiley-designed 91-acre landscape. 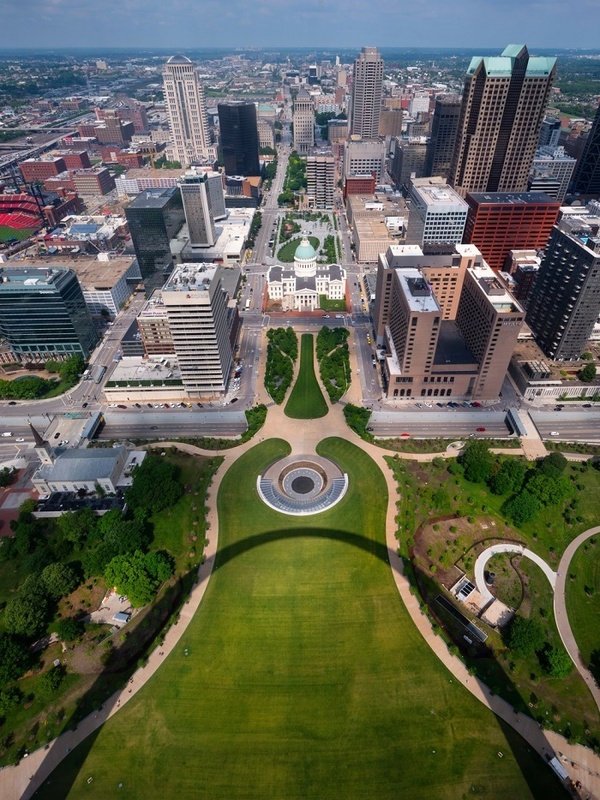 Previously only accessible by car or by a bridge over a major highway, the site is now accessible through a newly constructed landscape bridge over Interstate 44, offering “an intuitive, accessible visitor experience from the Park, the Courthouse, and from downtown St. Louis.” It is part of a sequence of green spaces over the highway that has now been linked into “a unified thread connecting from West to East,” in dialogue with city, parkland, and river. The result is an entirely modern and yet timeless civic space, nestled into the existing landscape and aesthetic of the city and region.